The third day of our adventure out west in June 2017 was a long drive from Albuquerque, New Mexico to Tusayan, Arizona featuring a drive through the north end of the Petrified Forest National Park. We drove west from Albuquerque through El Malpais, the Badlands of west central New Mexico. Thousands of acres of landscape to the south is broken up by pitch-black, concrete-hard, glassy, sharp rock with many lava tubes and craters. I tried to tour the volcanic landscape back in 2011, but was thwarted by a storm which flooded the unpaved roadway. In the end, I wound up with a muddy mess of a car both inside and out. It turned out we would travel through the Badlands four days later on our eastward return from the Grand Canyon. 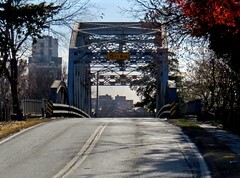 But for the trip west we forged onward to Gallup for lunch at a Cracker Barrel and onward into Arizona to visit the north end of the Petrified Forest. I-40 paralleled one of the three transcontinental routes of the Burlington, Northern, and Santa Fe railroad from just east of Grants, New Mexico for over 275 miles to our turnoff to the Grand Canyon in central Arizona. 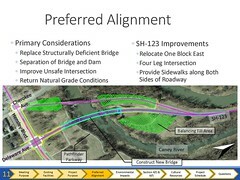 Our fellow traveller John Henderson builds bridges for the BNSF’s main competitor, Union Pacific. Wendy and I marvelled at the frequent long trains with multiple engines which we saw all along the route. 200 miles west of Albuquerque we turned north off I-40 to visit the northern part of the Petrified Forest. 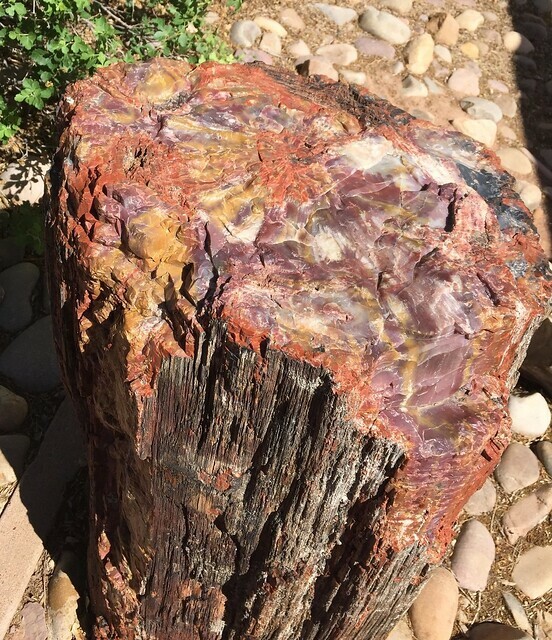 The petrified wood found in that park and the surrounding region is made up of almost solid quartz. A rainbow of colors is produced by impurities in the quartz, such as iron, carbon, and manganese. 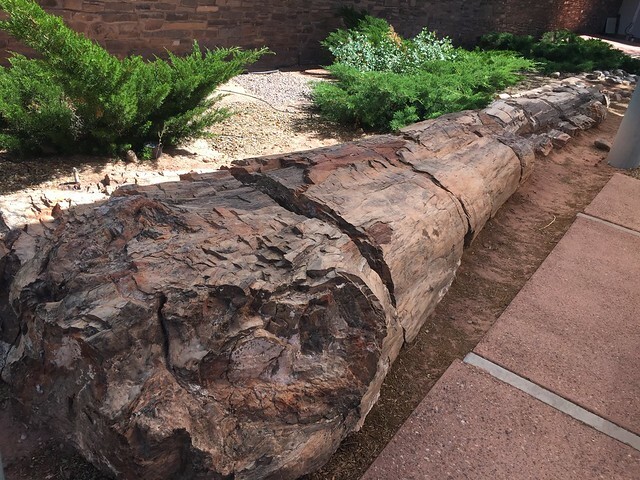 Over 200 million years ago, logs washed into an ancient river system and were buried quickly and deeply enough by massive amounts of sediment and debris to cut off the oxygen and extend their decay for centuries. Minerals, including silica dissolved from volcanic ash, absorbed into the porous wood over hundreds and thousands of years slowly crystallized within the cellular structure, replacing the organic material as it broke down over time. Sometimes crushing or decay left cracks in the logs where large jewel-like crystals of clear quartz, purple amethyst, yellow citrine, and smoky quartz formed. 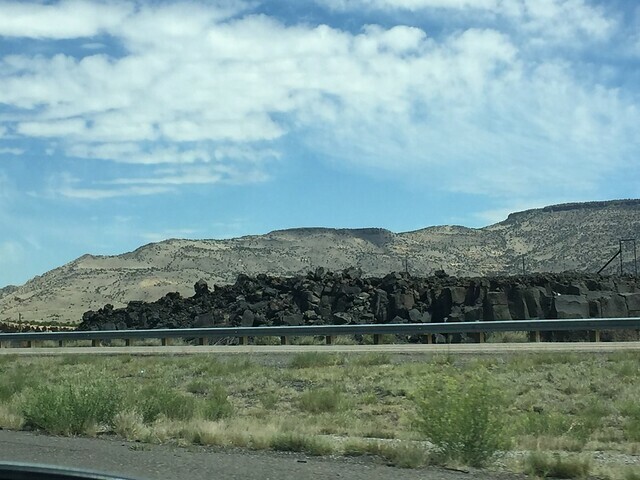 I had deliberately included stops at the Petrified Forest on both our way out and back, knowing how much Betty Henderson loves petrified wood. Wendy the rockhound loves the stuff too, of course, and provided several close-up shots. At the visitor center John spotted a huge petrified log we could examine. We paid $20 for each vehicle to enter the forest, even though we only had time to visit the viewpoints north of the interstate; the passes were good for a week, so they would serve us again in a few days when we would drive through the park from its southern entrance on our return journey. 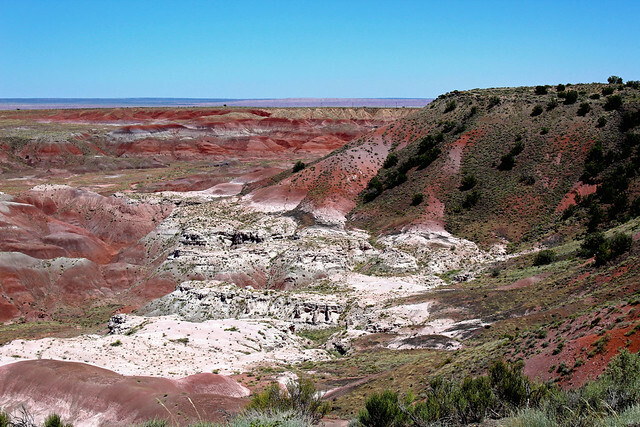 Tiponi Point was our first panorama of the Painted Desert. 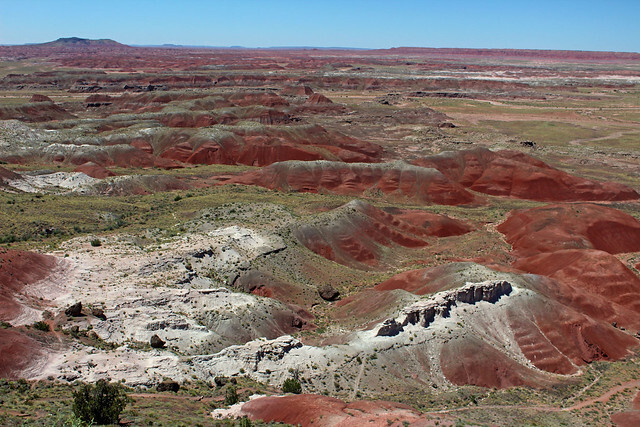 The desert here is composed of stratified layers of easily erodible siltstone, mudstone, and shale of the Triassic Chinle Formation. The iron and manganese compounds in these layers provide the vivid colors that led a troop of men from Coronado’s 1540 expedition, who had been sent to find the Colorado river, to name this area El Desierto Pintado. Next was Tawa Point, with striking color contrasts and multicolored slopes. The Hendersons posed for me there. The road wound around, bringing the Painted Desert Inn into view above Kachina Point. The Inn began as the Stone Tree House by Herbert David Lore, with a top-level lunchroom and area for Indian crafts to be sold, a bottom-level taproom, and six tiny guest rooms. They still sell Native American works in the Inn, and John Henderson bought a lovely bracelet there for John and Betty’s daughter Elizabeth. Mr. Lore built the Stone Tree House with petrified wood and other native stone. Unfortunately, the stones rested on a foundation undermined by a seam of bentonite clay, so the foundation and walls cracked as the clay swelled and shrank. 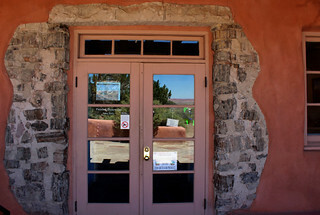 When the Park Service took over the property in the 1930s, architect Lyle Bennett redesigned it in the Pueblo Revival style one sees so much of in Santa Fe, although one can still find the petrified wood used in the old house peeking out around the lower level doorway. The exterior and interior were transformed under Bennett’s direction by CCC workers during the Great Depression. The famed Fred Harvey Company, whose hotels and related buildings at the Grand Canyon are prime attractions on its South Rim, took over the property after World War II. Its renowned architect, Mary Colter, added plate glass windows to emphasize the views out to Kachina Point. 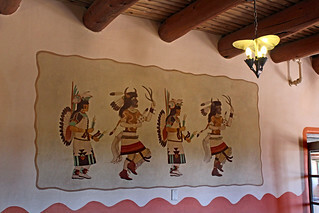 She also implemented a new color scheme while hiring Hopi artist Fred Kabotie to paint murals on the lunchroom walls. Continuing structural problems due to the clay underneath the building led the Fred Harvey Company to relocate to the current visitor’s center in 1963. The Painted Desert Inn was threatened with demolition, but a public campaign saved the historic structure. Renovations in 2004-2006 extended its life with thirteen floating roofs, joint-less pipes, and flagstones being re-laid to improve drainage. I took the time to walk around to the west side of the building and peer into the six tiny rooms, which are little more than cubicles with a corner sink. Some of them were once home to “Harvey girls” who worked at the facility. 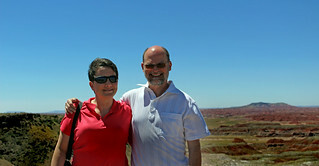 After relaxing at the Inn, we drove on to Pintado Point, where Wendy and I posed in front of the Painted Desert. 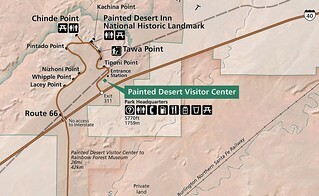 There is no access to I-40 if one continues through the park, so we turned about for refreshments at the visitor center before continuing our journey west. With a pit stop at the Flying J outside Winslow and refueling in Flagstaff, we were ready to head to the Best Western in Tusayan, just south of the Grand Canyon. We could not take the direct route from Flagstaff along Highway 180, as it was closed by fire. A lightning strike in early June on the slopes of Kendrick Mountain ignited a wilderness area with many dead and downed trees killed in a wildfire back in 2000. The smoke made Highway 180 impassable, so we had to continue along I-40 west of Flagstaff and take Highway 64 north to Tusayan, from which we could see the smoke billowing from the mountainside. I had been pleasantly surprised by the great condition of I-40 in Oklahoma and New Mexico. But the interstate was in very rough shape in Arizona west of Flagstaff. Signs warned of miles of rough road, and they weren’t kidding. The Flagstaff area usually experiences more than 200 daily freeze-thaw cycles each year where moisture seeps during the day into the asphalt overlay and then pops it when it expands upon freezing overnight. 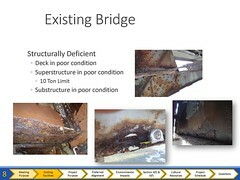 Heavy traffic exacerbates the issue. 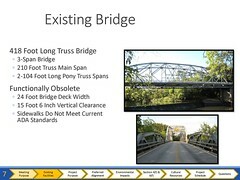 They need to rip out the interstate here and rebuild it with fresh impervious concrete panels. We pulled into our hotel, the Best Western Premier Grand Canyon Squire Inn. It was a larger facility than most Best Westerns and even boasts a six-lane bowling alley. 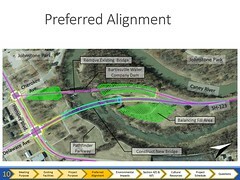 In recent years it has been overhauled with a new lobby and a ten-year plan will add 438 additional rooms. I appreciated the attractive lobby and pricey but adequate dining options. I usually book a suite, or what a hotel bills as a suite, for Wendy and me since she likes to stay up late and sleep in, while I prefer to go to bed early and rise early. 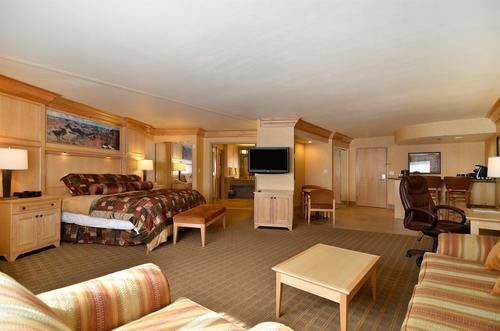 I spent an extra $100 per night for this at the Grand Canyon, over the quite comfortable but linear room the Hendersons occupied. Our “suite” was very spacious with an enormous bathroom, living area, and small kitchen spot, but it had no true separation of the bedroom area from the living area, and you had to pass through the bedroom area to reach the bathroom. Whenever we find a hotel that truly separates the bedroom from the other areas, we make note of it, as that is a real plus for us as we don’t have to worry so much about waking each other up. The best rooms on this vacation in that regard were the Drury Inn in Amarillo and the DoubleTree Airport in Oklahoma City. But Wendy situated herself in the kitchen area each night while I drifted off to sleep, and all was well…except for the pillows, which is a story for a later post. The next day we’d drive a few miles north for our first of two days at the Grand Canyon’s South Rim.